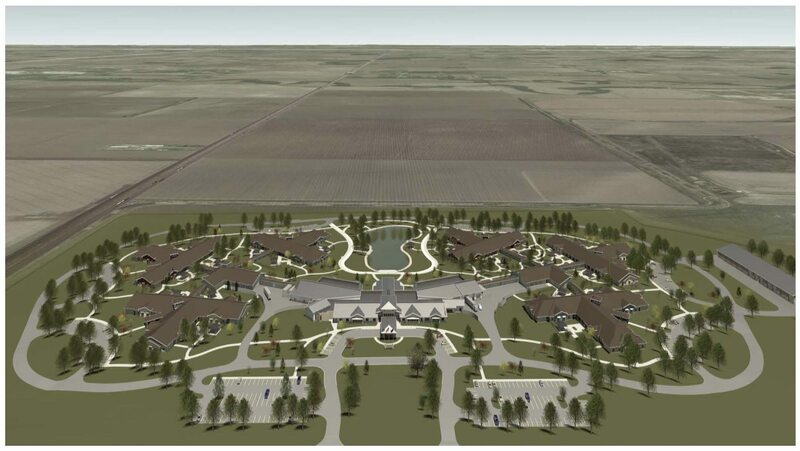 The Central Nebraska Veterans Home is coming to Kearney! 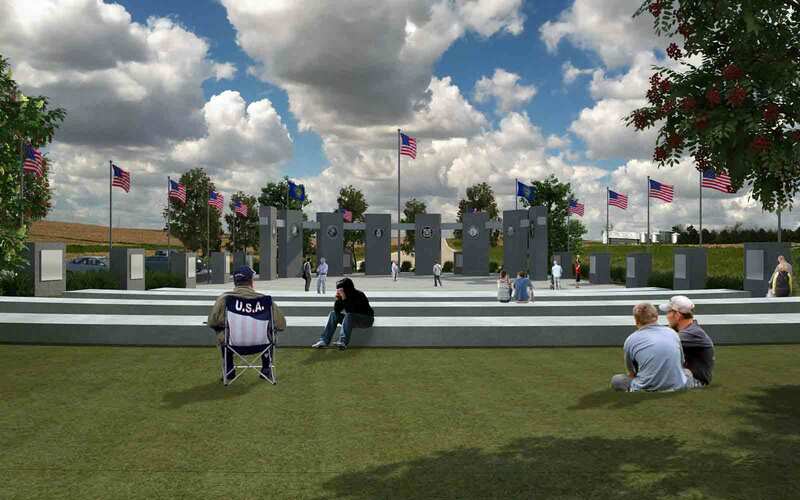 To honor those who served, fought, and died for this great nation, the Central Nebraska Veterans Memorial committee is raising funds to construct a fitting memorial on site at the Central Nebraska Veterans home. As a committee, we have designed a memorial based on an educational and historical perspective to honor those who have served in all military branches of service and military conflicts undertaken by this great nation beginning with the Civil War. This will be a very impressive structure, designed for Veterans, by Veterans and, we as a committee believe the general public will be impressed by it’s somber beauty, along with the educational and historical aspects within. Once viewed, the Central Nebraska Veterans Memorial (CNVM.org) will make you proud to be an American and a resident of central Nebraska. The goal of our committee is to construct this memorial with private and locally public funds, leaving in it’s wake a trust fund to pay for ongoing maintenance expenses, thus not burdening the taxpayer with those expenses. Conflicts begin with the Civil War, as central Nebraska was founded during the Civil War era. The selection of which conflicts were chosen is based on those recognized by the American Legion and Veterans of Foreign wars as eligible for membership in those organizations. Each conflict stone will include a plaque describing in detail its factual history. CONFLICT STONE DIMENSIONS: Approximately 8 feet tall, 6 feet wide, 2.2 foot thick concrete pillar covered with granite tiles 1 foot by 1 foot by 1.5 inch thick. Each conflict stone will include a plaque describing in detail its factual history. National Guard holds a seat on the JCoF; the Reserves fall under their respective command (Army, Navy, Marines, Air Force and Coast Guard). A POW/MIA stone will be included with the service stones. The Merchant Marine stone was included due to it’s significant contribution to World War II. Each service stone will have the appropriate branch of service symbol and a detailed factual historical description of that service. detailed factual historical description of that service. 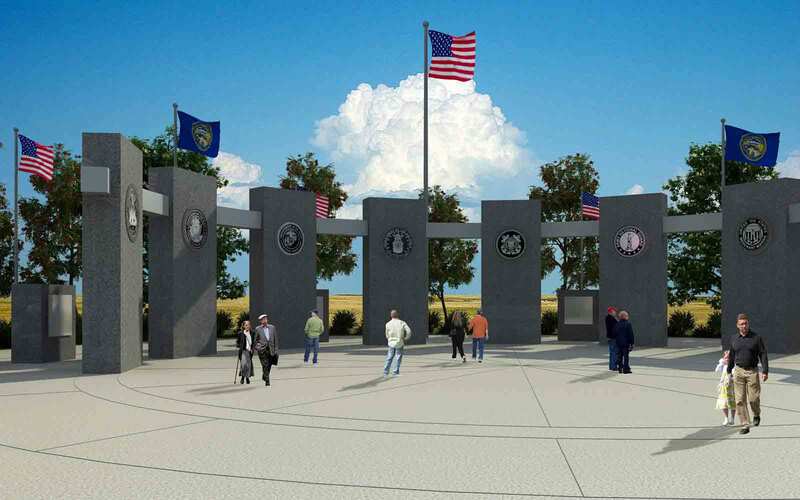 The Central Nebraska Veterans Memorial will be co-located with the Central Nebraska Veterans Home at the corner of 56th Street and Cherry Avenue in Kearney, NE (.25 miles west of the Kearney Airport Terminal). 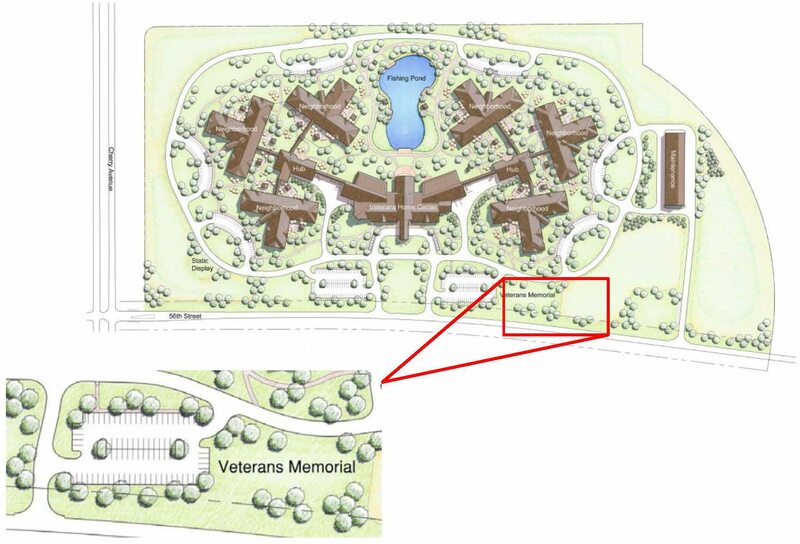 Specifically, to the direct east of the Veterans Home main entrance along 56th Street. Located directly across the street to the south is the new Kearney baseball complex, Patriot Park. 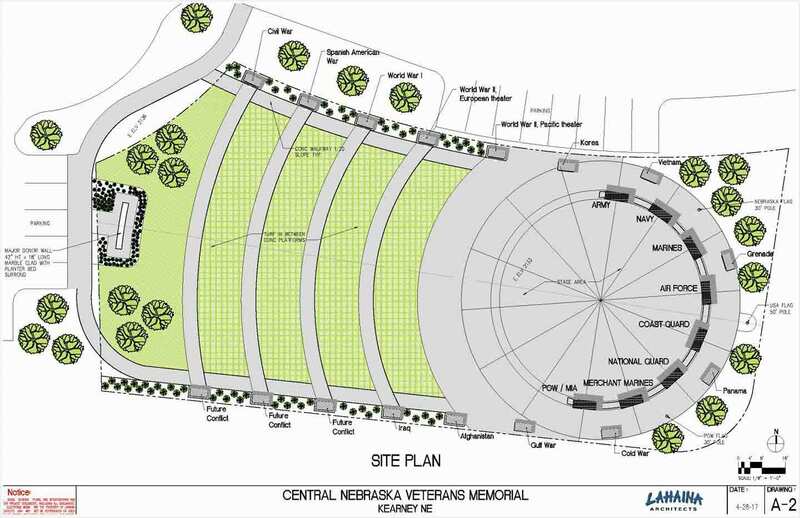 The Central Nebraska Veterans Memorial will occupy land approximately 173 feet wide by 100 feet deep.